The Tuscany’s gorgeous 12″ vertical roman columns provide solid structural support to the top rail while clearly making this pool unique. Its outstanding 12″ sculpted Granite like top rails provide unparalleled strength and Beauty. 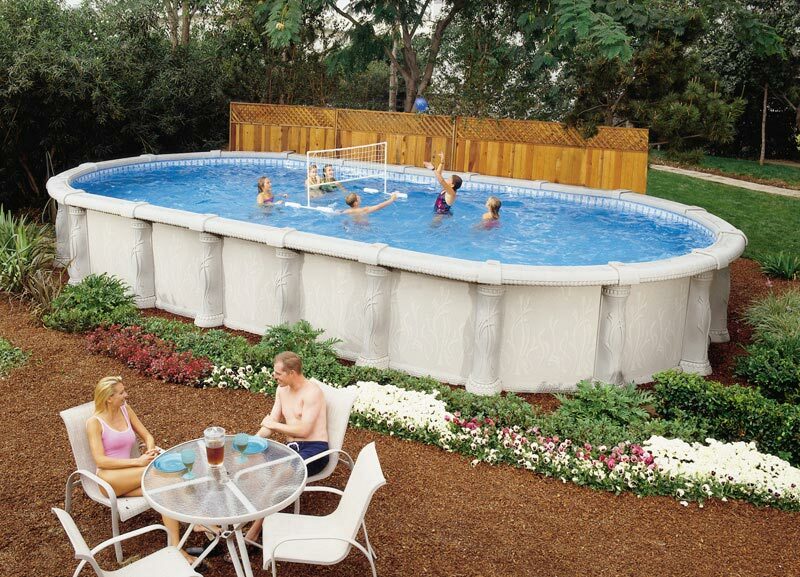 While the tasteful 3″ resin bottom rails complete the elegant and unique appeal of this ingenious pool design. The gracefully-curved columns, beautiful pattern and magnificently sculpted top rails become an elegant centerpiece for both luxury and fun in any family’s backyard.